Today is a big day for me from a diabetes perspective. It’s now exactly one month since I stopped taking any medication for my condition and started trying to control my blood sugar with diet and exercise alone. As you might expect I’ve been a little OCD about this – and rather paranoid about making sure I’m not just being an idiot who just stops taking medication without evidence that it’s the right choice. 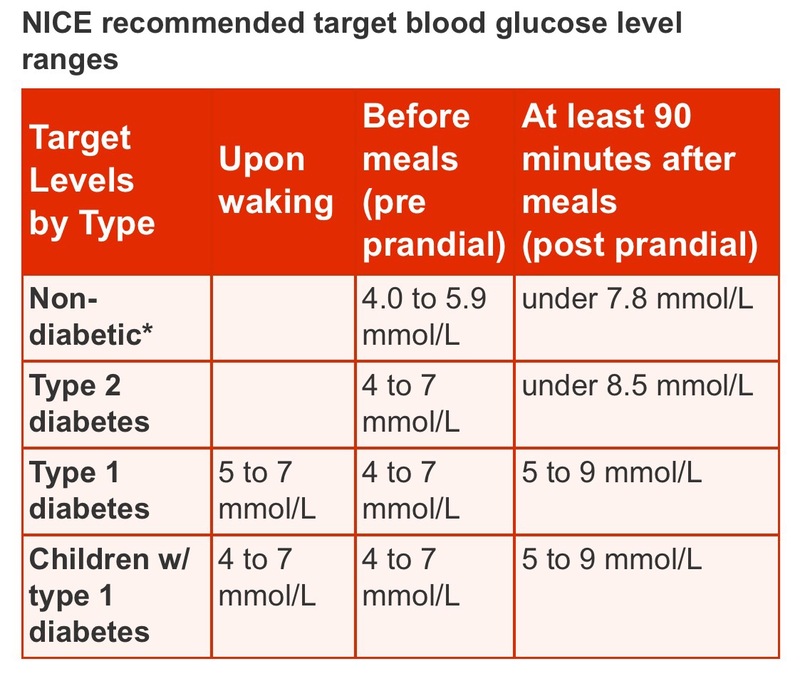 As you can see according to the above table (found here) there are two instances on the 14th January and the 5th February where my levels have been on the edge of what is considered a type two diabetic. I have a full official assessment due in March which will hopefully confirm my findings – but this suggests that what I’ve previously discussed with my (rather knowledgeable and friendly) local pharmacist appears to be true. I still have type two diabetes. It’s not cured. My pancreas remains damaged but I’ve made significant enough changes in my lifestyle to (at the very least) delay the onset of further symptoms. The more I do in this respect the better I hope the long term prognosis will be. Currently though I’m cautiously optimistic and will not test myself again or take any medication until my scheduled NHS review. I’m just going to keep doing everything I’m doing and trying to become a little bit healthier every day. In other news – yesterday saw me punching the air for another reason entirely. It had totally passed me by (as I tend to ignore shops that I consider it’s pointless going into) that the closure of a nearby B&Q last year had resulted in the opening of a Debenhams store in the same spot. I happened to stroll past it whilst on my way to somewhere else and when I realised what it was decided to pop in to see if they had the plus sizes on the rack that I’d mentioned in a previous blog. To my great disappointment there were only two random (and horrid) 4XL items on display. I almost walked straight back out at that point – until (whilst staring at their-store cafe and thinking about coffee) I spotted a nice looking coat in a 3XL. Since I knew it wouldn’t fit I thought I’d try it on anyway to compare it with the Tesco 3XL’s that don’t fit. I grabbed it off the rail, walked over to the extremely flattering concave fairground mirror that makes my head look like an egg and put it on. This is the first time in around TWO DECADES that I have been able to go into a high street store, pick an item off the shelf and wear it – and that’s not all. I tried on four jackets in total, and only one wouldn’t do up! How damn awesome is THAT?! Anyway, enough of all the great news. It’s time to further bore you – my beleaguered readership – with this week’s obsessions, which (unless you’ve been under a rock for the last few days) you will already know are calories, exercise, and crushing my weight loss goals on Saturday. As part of ‘project salad‘ and after yesterday’s exhaustive exploration of past eating habits I’m trying harder than ever to confront my portion sizes. My last post had something of an unexpected effect on me and because of the lingering thoughts it left behind yesterday’s lunch took on a slightly different format to the usual kind that I make. Normally when I make a salad the constituent vegetables are finely chopped before being mixed together and I usually eat it with a dessert spoon. This tends to means I eat quite quickly. The preparation of my food therefore is almost certainly a factor in how much I consume. The easier it is to eat, the faster it goes down, and the more I can eat before my brain realises I’m full. So today I made the salad on the plate rather than in a mixing bowl (so I wouldn’t overdo the amount) and chopped it up really chunky so it would take longer to eat (which I did with a frustratingly slender fork to slow me down). I also only had one potato instead of my usual two. My evening meal was one of my staples – a hearty beef soup – but this time with a little added Chorizo and chilli to put a warming twist on my usual recipe. 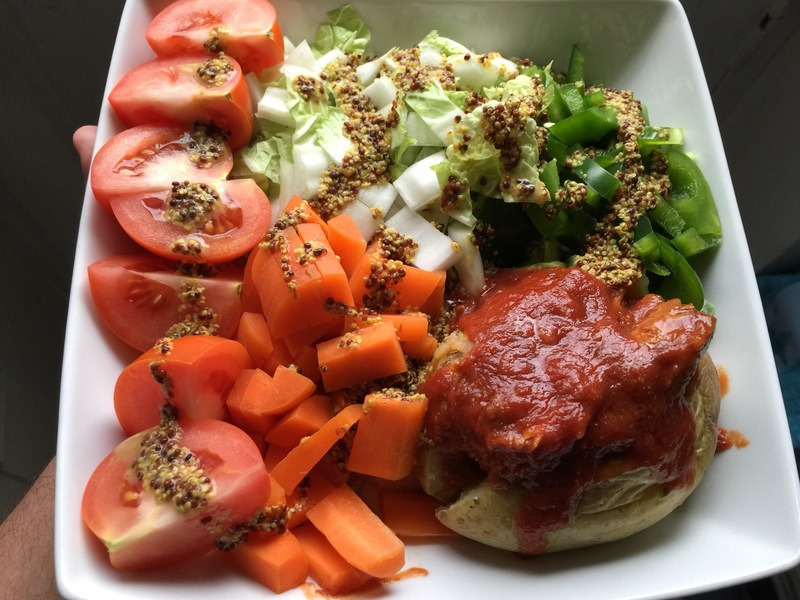 Total calories for the day – 1180kcal. Exercise wise it was another good one – with what appears to once more be more calories burned than consumed. So – all in all it’s fair to say I’m in a good mood! There’s less than a day to go and then it’s time for my weigh in – which for once I’m really looking forward to. To put this statement into perspective internet – I wasn’t this enthusiastic about Christmas when I was ten years old and unwrapped a Millennium Falcon! For that reason alone it better be a good result – and if it’s not then at the very least I want a really great Star Wars toy and several oranges in a sock pinned to a mantelpiece waiting for me at Slimming World.